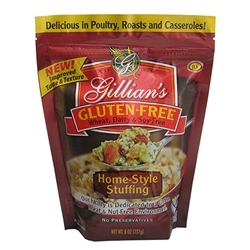 Gillian's gluten free stuffing comes with a recipe to make turkey stuffing. 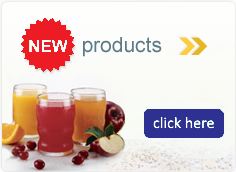 Use in place of regular stuffing in your favorite recipes. Ingredients: Water, White Rice Flour, Tapioca Starch , Egg Whites, Potato Starch, Cane Sugar, Canola Oil, Poultry Seasoning (Thyme, Oregano, Black Pepper, Mustard Powder, and Sage) Contains 2% or less of each of the following Salt, Yeast, Xanthum Gum, Calcium Sulfate, Natural Enzymes.